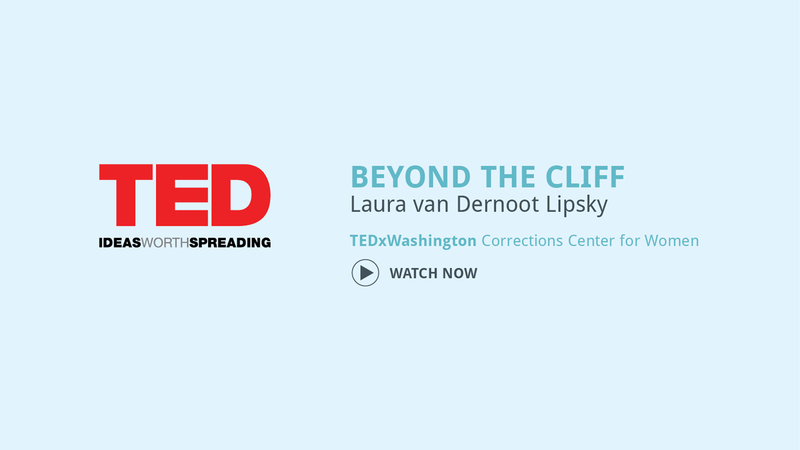 Laura had the privilege of joining others at the 2015 TEDx Conference at the Washington Corrections Center for Women. To see some of the other profoundly moving talks given by women living there as well as those working in related fields, go here. If you have just a few minutes, here is an even shorter version. Laura talks about the origins of the book. Laura talks about how she came to be interested in the concept of Trauma Stewardship. Connie answers a question from the audience. An introductory video — to make you smile. I didn’t realize how much my work has affected me until I read Trauma Stewardship and heard Laura speak. I frequently struggled with the question of how to make my work sustainable, and was approaching it as if I were on an inevitable course of working until I completely burned out and then finding a second career. Engaging with trauma stewardship has made me much more conscious and in tune with how I am impacted by what I do, and also reminded me that I do have the power and wisdom to make positive changes. Although there is no quick fix, I find myself starting to think more critically and make changes that give me a sense of agency in how I do my work while still fully living my life.